5B Investments, Inc. is led by founder and CEO Chris R. Stephens and is bolstered by a senior management team with the necessary expertise to meet the changing needs of every business in the 5B family. Chris R. Stephens, founder and CEO of 5B Investments, Inc., started 5B Investments in October of 1989 as a small investment and development firm. Today it is a privately held corporation holding interests in commercial, industrial, self-storage, and restaurant projects throughout the U.S and Canada, exceeding revenues of $100 million. 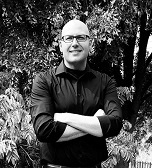 A multi-faceted professional, Chris has been a licensed architect and contractor for more than 30 years, holds an Airline Transport Pilot’s license with jet type ratings and is a licensed Paramedic. He earned a Bachelor of Architecture, Highest Honors, and a Bachelor of Science in Architecture, Highest Honors from California Polytechnic State University. 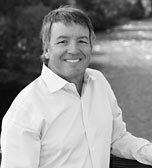 While living full-time in Sun Valley, Idaho, Chris serves on the board of several not-for-profit organizations. Rebecca Cole is Executive Assistant for 5B Investments, Inc. and the personal assistant to founder and CEO Chris Stephens. 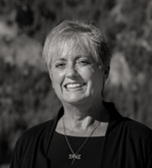 She has more than 35 years of customer service and administrative/executive assistant experience. Since joining 5B Investments in 2000, Rebecca has managed the administrative responsibilities for Chris, 5B Investments and 5B Management, LLC’s business entities. Her work has included managing the executive travel for 5B Investments, Inc., and Mach Robin, LLC executives; license renewals for the 14 U.S. restaurants, and publishing the Red Robin monthly newsletter. 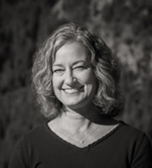 Prior to joining 5B Investments, Rebecca was the executive assistant to the president of First Bank of Idaho, Ketchum, Idaho and earlier to the president of Bank of America, Boise, Idaho. Much earlier, she worked as the office manager of a large ophthalmic practice in Boise and as a leasing representative for a large commercial developer in Phoenix, Arizona. An Idaho native, Rebecca attended Boise College (now Boise State University). Michael DeVore, Vice President of Operations for 5B Management, LLC, directs, plans, controls, and coordinates the activities of The District at Parkcenter, Liberty Lake, and StoragePlus. He is responsible for establishing policies and practices critical to the attainment of operating goals. He has 20 years of customer service business experience through a variety of space management venues; truck rental, intermodal, self-storage and multi-family housing. Michael has successfully transformed StoragePlus, Liberty Lake, and The District from independently operating locations to a unified, customer-focused culture, supporting the customer, the company and the team in a dynamic retail operation venue that has become the 5B brand. Michael holds an Associate Degree in Business Management, with extended studies in marketing through the University of Utah. Deb Shinkle, Vice President of Finance for 5B Management, LLC, oversees the daily financial activities for the 5B Management business entities, including accounts payable, payroll, benefit administration and financial reporting. She has more than 25 years of accounting and management experience. Prior to joining 5B Management in 2004, Deb held management positions in the banking, nonprofit and retail industries. She earned a Bachelor of Arts in Business Administration with concentrations in marketing and management from the University of Wisconsin. 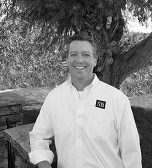 Justin Padleski has been providing five star customer service and managing multi-level properties for 20 years. Over the past 10 years he has successfully acquired and transitioned over 40 new locations. Justin’s most recent accomplishment includes being a member of a 6-person team that consulted in the sale of New York’s largest parking company which included over 200 locations. Justin’s passion to lead his employees is what keeps him energetic and driven. He believes leading by example is the best form of leadership. He is dedicated to the success of his employees and is well known for his hands on approach in his daily operations. 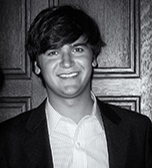 Chet Stephens, Financial Analyst, worked with 5B Investments early in his career returning in November, 2015. His duties at 5B comprise a wide range of work assignments that include data collection, quantitative analysis, report design, report drafting, and preparation of various materials for financial institution presentations. He was able to create over 450 unique financial plans for various clients through the Wealth Management division of Morgan Stanley with over $1 billion of assets total by strategically planning and utilizing eight investment strategies based on predictive analytics and market research to match client risk tolerance, liquidity needs, and investment horizon. Chet earned a Bachelor’s degree from the University of Pennsylvania majoring in Philosophy, Politics, and Economics- Concentrating in Choice and Behavior. Continuing his education, Chet completed the graduate Edge program in Business at Columbia University’s partner Columbia Business School. 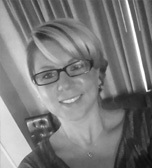 Rayne Bell, Marketing Coordinator, started with 5B Management, LLC in 2005 as a property manager. Initially in multi-family housing at Liberty Lake Apartments she moved to self-storage in 2007 and began centralizing marketing efforts in conjunction with managerial duties. In 2011 Rayne became an independently contracted marketing specialist with exclusive interest in the 5B Management business entities. Gaining vast knowledge in electronic, digital, and print through various self-studies and vocational courses Rayne has centralized, coordinated, and completed works for the 5B, StoragePlus, Liberty Lake, and The District at Parkcenter brands including a custom design and build of the StoragePlus website. She also aided in  exceeding growth expectations for the 2015 RV expansion of 63 spaces at StoragePlus -Midvalley, maintaining an average 98% occupancy across all properties, and various other projects.